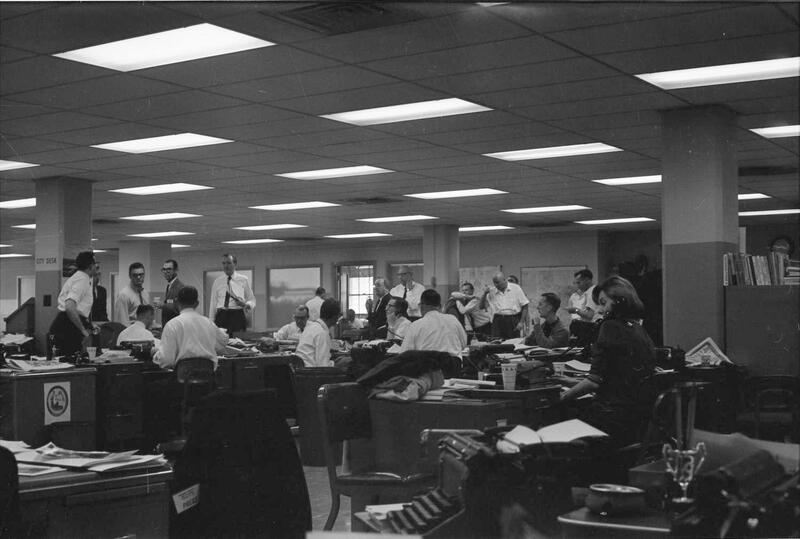 It was all-hands-on-deck for a shocked and solemn Times Herald staff, 11/22/63. 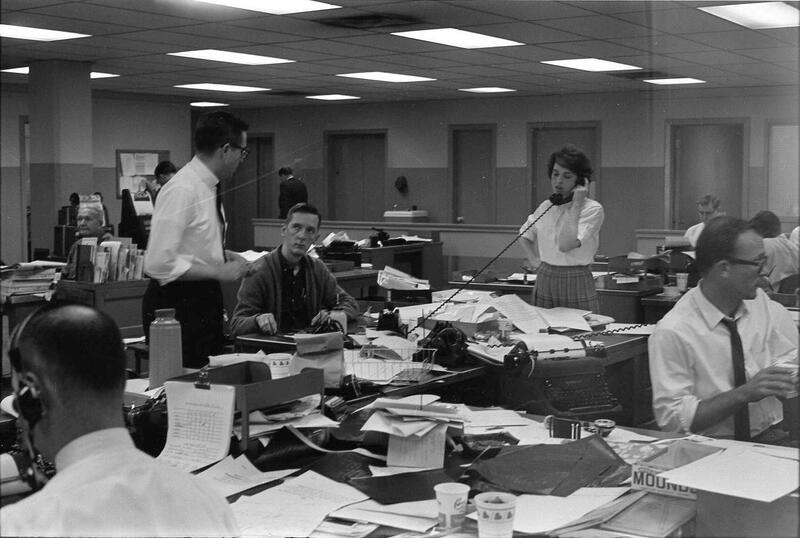 Photos of Dallas Times Herald reporters in the newsroom on November 22, 1963, scrambling for information after the assassination of President John F. Kennedy, the biggest news story of their careers — the biggest news story in the history of Dallas. 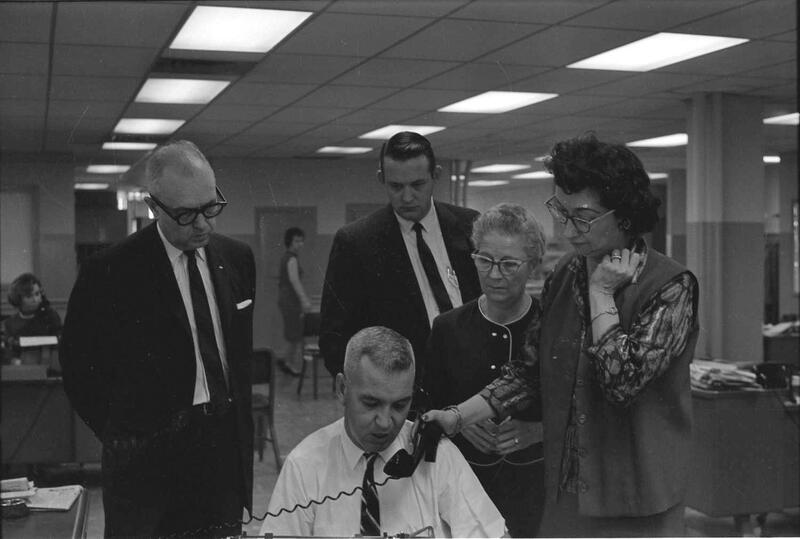 Photos (by an unidentified DTH staff photographer) are from the Sixth Floor Museum’s Dallas Times Herald Collection, accessible through the Portal to Texas History. Other photos of no doubt shocked reporters in the DTH newsroom who were probably running completely on instinct and adrenaline that day are here (click thumbnails for larger images). Identification of DTH reporters and other staff pictured above is welcomed.